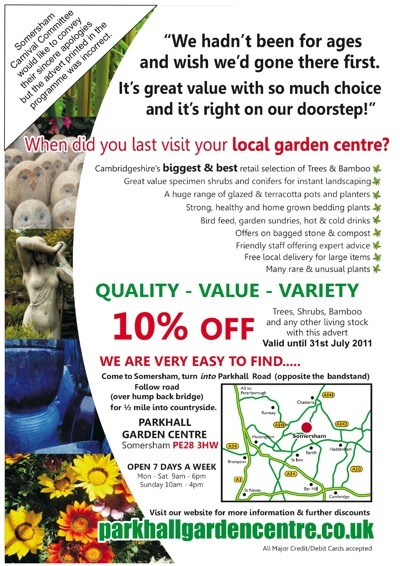 We would like to draw your attention to the advert included on the inside cover of this year’s Carnival programme for Parkhall Garden Centre. Due to a printing error, the advert that has been published in the carnival programme is incorrect. The Somersham Carnival Committee would like to convey their sincere apologies for this error and for any inconvenience that this has caused Parkhall Garden Centre and to its customers. « Carnival Day 2010 – the video!